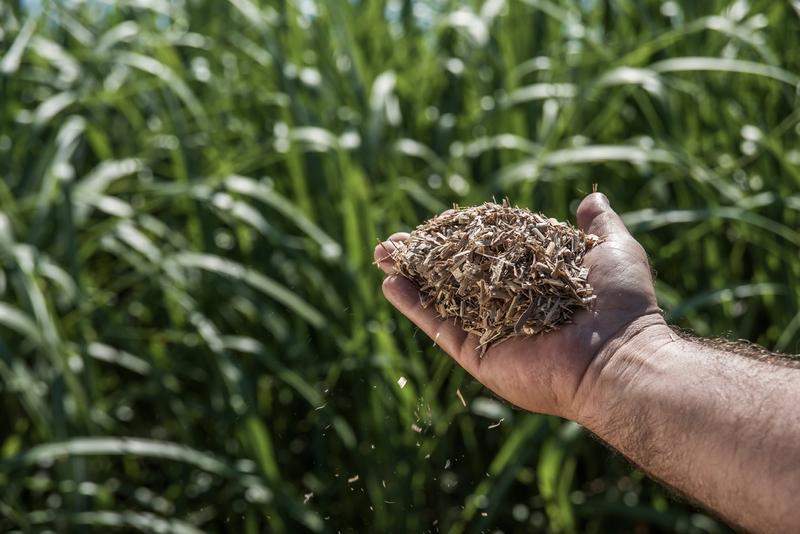 AGgrow Hydro Mulch is an innovative mulch product made right here in the USA from certified sustainably grown giant Miscanthus grass. Our specially formulated composition of annually renewable natural fibers and other additives provides an alternative to the old conventional wood mulch, paper mulch, and cellulose mulches of the past. You’ll now experience more uniform cover-age, quicker and much easier loading procedures, and a product that requires less water to apply making you more efficient. You can now add 50% more mulch and spray 50% more area per tank load, this additional coverage can quickly translate into more productive work days and less time filling your tank. Or, look at it this way, if you now do 10,000 square feet per load with your conventional wood or paper mulch, you will be able to cover 15,000 square feet per load with AGgrow HydroMulch. When you do the math it’s hard to find a reason why you wouldn’t use AGgrow Hydro Mulch. AGgrow Hydro Mulch® is a hydraulically applied mulch with a specially formulated composition of annually renewable grass fibers and a non toxic soil stabilizer. The primary fibers shall be produced from annually renewable grass fiber; all fiber materials should be free from plastic materials or other non biodegradable substances. Fiber shall not contain recycled newsprint or ink. Fiber shall be of such character that the fiber will disperse into a uniform slurry when mixed with water. 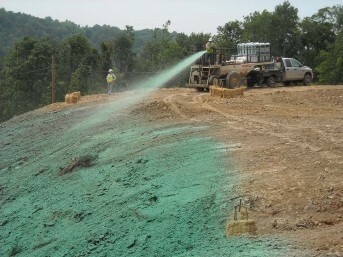 Fiber shall be colored green, and shall not stain concrete or other surfaces. Fiber and other mulch ingredients shall be free from growth or germination inhibiting ingredients. Mulch fiber shall be applied as a slurry solution by means of hydro seeder. It is imperative that the mulch be applied at the specified rate: too wet of a mixture will cause the fibers to be buried into soil. Mulch fiber shall be applied at the specified rate per the specifications in a uniform manner. Care shall be exercised to ensure that the mulch application is uniform and even throughout the seeded area; mulch shall not be bunched or clumped up on the site. Care shall also be taken as to not create a shadowing effect on the site, mulch applications shall be started on the wind-ward side of the project. When sprayed uniformly at the recommended rate, the mulch fibers form an absorbent mulch cover, which will allow percolation of water and increased water in filtration to the underlying soil matrix. Copyright 2017 AGgrow Tech, LLC - All Rights Reserved. FREEDOM® is a trademark of Mississippi State University, used under license. ACCU YIELD™ SYSTEM, ACCU DROP® planter, ACCU PROCESSOR™ unit and ACCU LIFTER™ machine are trademarks of AGgrow Tech. All other trademarks mentioned on this website are the property of their respective owners.